The State of Colorado Division of Motor Vehicles has approved this driver education course for teens looking for their Colorado Driving Permit. This course is made up of 8 units of study. Along with behind-the-wheel training, this course will prepare students for their permit. 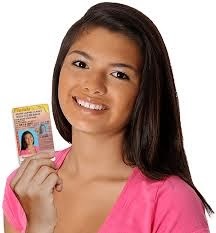 Register the course to obtain Colorado Driver's License ! Welcome to the best teen driver education available! You can complete your comprehensive safety training and prepare for your driving permit in the most effective way. All of this is accessible entirely online so that you can log in and out from any computer whenever it is most convenient for you. The course covers defensive driving, collision avoidance, emergency preparedness, dealing with road conditions, driving environments, basic maintenance topics, the harmful effects of drugs and alcohol on driving, and much more. The material is broken up into 8 units and there is a short quiz after each unit that helps test your knowledge on that subject. A final exam is the last requirement for students of the online driver education Colorado course. It is an online exam that asks multiple-choice questions that are chosen from the course material. If you are unable to pass with 80% or higher on your first try then don’t worry! You are able to review the material and try again at no extra cost. Your Certificate of Completion is the document that you will use to prove you have completed Colorado Driver Education.